Home / Beauty Salon / Salon Business / What Are The Differences of Beauty Salon and Beauty Clinic? What Are The Differences of Beauty Salon and Beauty Clinic? – Every women care about their skin. Only, the level of their concern about skin can vary. There are some people giving much attention to all rituals that are associated with facial skin care, from when he woke up in the morning to return to sleep at the end of the day. There are also some people who do not think too much about skin care, but more prioritizing sports or consumed nutrients. Some others do not really bother with that all, just running a moderate skin care routine. Regardless of which category you are in, you must know about beauty salon and beauty clinic. But perhaps, not many who know exactly the differences between the two. In this article, BeautéSalonSpa will discuss about the main differences between beauty salon and beauty clinic. Of course, knowing what the differences between beauty salon and beauty clinic becomes important if you are looking for the right treatment for your skin problem. And where to get it. For instance, when there is someone who has an acne problem, where should she/he go? Do she/he go to a beauty salon or a beauty clinic? Let's find it out further. Before discussing about the main differences between beauty salon and beauty clinic, let us first identify the similarity. Commonly, both provide beauty treatments for those who have skin problems. And in between, every therapist or the staff will also provide the best service in accordance with their capability. Then specifically, what is the differences between beauty salon and beauty clinic? Let's elaborate the services they offer so we can know the differences clearly. Beauty salon prioritizes services to pamper your skin, such as manicure, pedicure, and other treatments like facials, waxing, massage, makeup consulting, to exfoliation. The therapist at the beauty salon knows well about the pampering service of skin to body. When it comes to beauty salon, we think about beauty or aesthetic. According to the Encyclopedia Britannica, the term of "aesthetic" means a philosophy that values the art of beauty. Therapists or beauticians are the ones who will give treatment when you visit a beauty salon. Another beauty salon staff are usually a capster, hairstylist, hairdresser, to makeup artist. Some beauty salons also offer more intensive treatments such as laser treatment, but permission to use the tool is only given to those who are certified, usually a doctor in the field of beauty. In addition to the above treatments, there are a lot of beauty services you can have in beauty salon. Customer segments become one of differing indicator of beauty salon and beauty clinic. 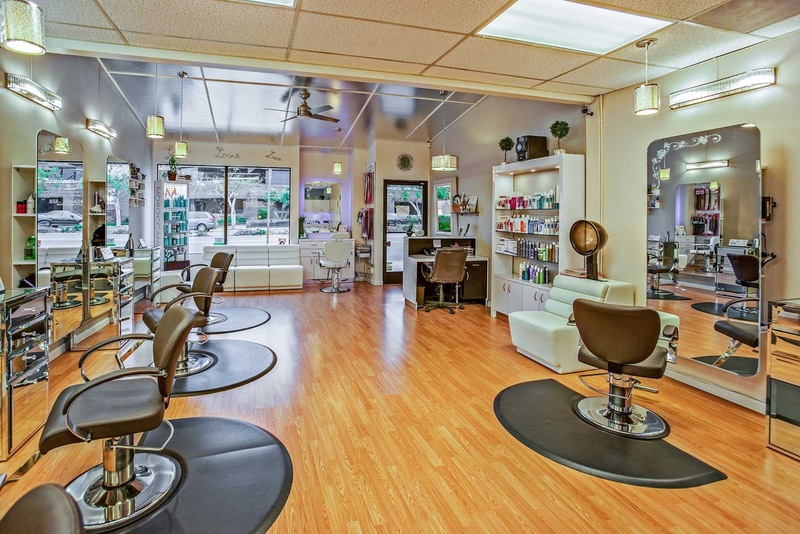 There are beauty salons that offer low prices and are located in a place that is not too exclusive, targeting the middle to lower customer segments. While the elegant and exclusive beauty salons pack its services with a much more elegant presentation, of course with a higher price. Beauty clinic sometimes also offers pampering beauty treatments, but the main focus is on anti-aging. Service coverage such as Botox and Fillers, skin rejuvenation therapy, chemical facial, laser hair removal, and others. Treatment coverage of beauty clinic is more comprehensive. And you will be handled directly by a certified dermatologist. Each dermatologist will directly monitor the skin problems you have and treat them attentively. For those who initally try beauty clinic treatments will be examined first through a standard facial mechanism. Only then, the aesthetic doctor advices what kind of medically appropriate treatment with the skin type. These specific treatments are not available in beauty salon as they are given directly by a dermatologist or an aesthetic doctor. Staff at beauty clinic have been trained to a higher standard which is not owned by a beauty salon therapist. A dermatologist or medical aesthetician has undergone training in anatomy, physiology, and skin pathology. In beauty clinic, the main figure holding the most vital role in consultation is a doctor who can provide medical diagnosis and monitor patient progress. While the treatment is served by a certified beauty therapist or staff. That's it, there is a long-term commitment between patients and doctors who handle the treatment. One thing you need to know, the skin improvement progress should be monitored continously. But, that does mean that the beauty clinic will really feel like a health clinic in which you are treated as sick people. Beauty clinic has commonly been designed to be very comfortable and elegant with specific themes or concepts. The flourishing presence of beauty clinic makes the treatment costs relatively more expensive than the beauty salon. This is because beauty clinic give more comprehensive prescription medications and treatments. The expensive prices are comparable to the provided treatments. Whatever skin problem you have, the types of treatments should fit your needs. When faced with the choice between the two, you already know exactly what the main differences. There is a possibility that the treatment you need is still basic like a facial. But later, when you need a beauty treatment for long term, that's you should decide where to get the best beauty care. First of all, thank you for sharing a good post like this. The post is helpful for me to find better between beauty clinic and spa! Day Spa Treatments in Auckland offered perfect treatments which I looking for. I will wait for the much more helpful post.